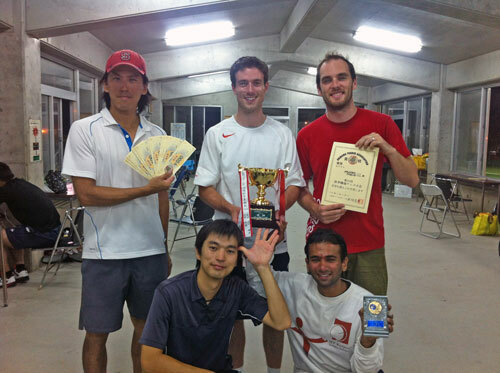 Tennis Team members after winning the Okinawa inter-company tournament on October 13th, 2012. Join us for regular tennis practice, informal matches and group competitions. Participate as much as you like. It's all about keeping fit and having fun. We will be updating this website with more information soon.